This week, Gary and Gary speak with in studio guest Shannon regarding the cool Jeep Lid product. They announce the winner of the December give-away as well as the winner of High Lift prize pack from November compliments of Super-fan Dan @Jeepit11. They discuss some listener feedback on a request for help in putting together a moderate TJ build and on a epic rollover one of the listeners had on the local Washington trail Crystal Ridge a few years back.Gary does a product review of the J.T. Brooks Automatic Tire Deflator PRO provided by sponsor Seven Offroad. 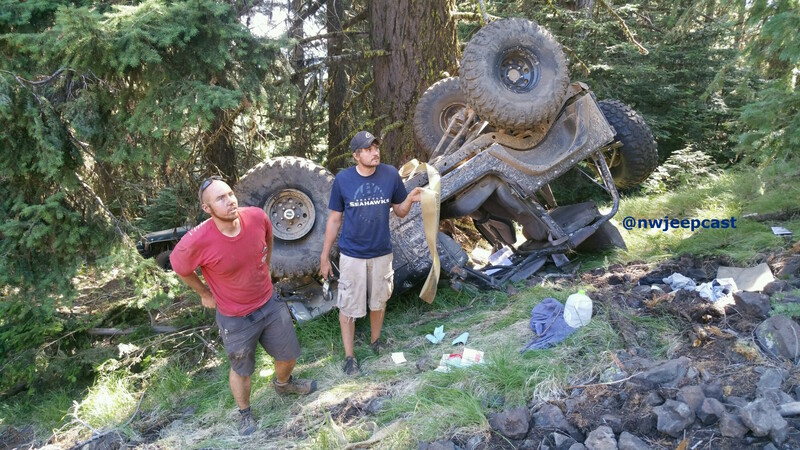 They also talk about their most recent snow wheeling adventure up in the Tinkham area of the Washington Cascades. Hey Garys! Great hanging out with you this week for your Jeepcast! Oh, and my BF's '89 is a YJ (I said CJ - DOH!). Cheers!